February 25-27, 2016 that is. 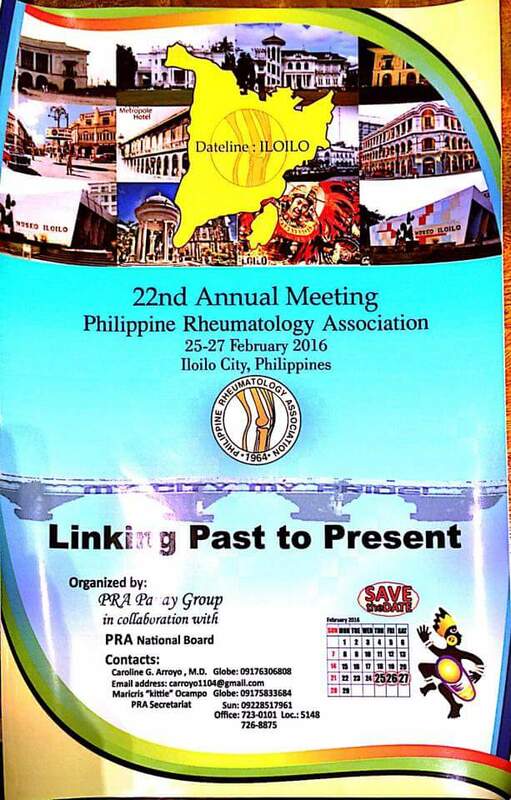 We will be holding our 22nd PRA Annual Meeting at the Iloilo Convention Center, Iloilo City. Keep on visiting our site for the latest developments!